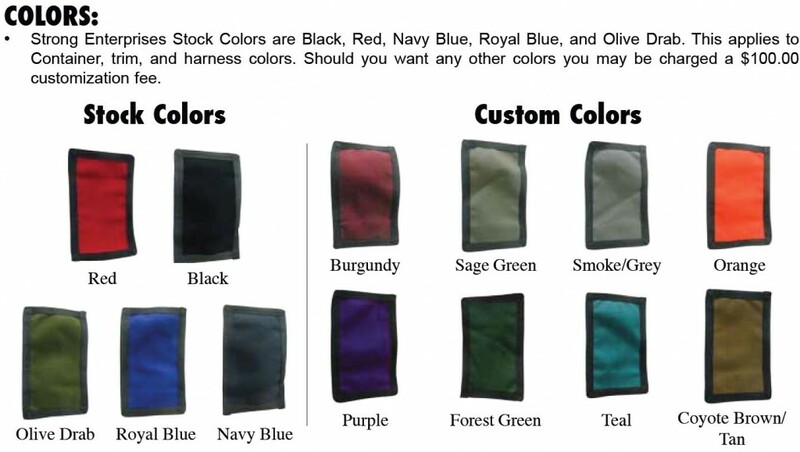 We are UK dealers for Strong Parachutes and usually have examples in stock. Parachutes for the YAK 3, 7, 9, 11, 18T, 50, 52 & 55. Also SU26,29 & 31. Chipmunk, T6 etc. The bucket seats in the YAK series of a/c are very suited to the Strong parachutes 304 type of seat pack parachutes, we have been using the Strong series of chutes for many years now. We recommend the 304 for the YAK 52 and YAK 50. Actually all the YAK’s! YAK 3, 7, 9 and 11 fighters, YAK18T four seater, 55 Single seat and not forgetting the SU26,29 and 31 acrobatic types. At YAK UK we instigated the design of the static line upgrade and strongly recommend this additional safety. The Model 304 Seat, measures 12” (30.5 cm) tall by 16” (40.5 cm) wide by 1/2” (1.3 cm) thick throughout the back, and 3” (7.5 cm) thick in the seat cushion, and weighs approximately 18.5 lb. (8.4 kg). The Model 304 is designed to be used in place of a seat cushion. By using an additional Confor© Foam cushion the seat thickness of the pack may be from 1” (2.5 cm) to 6” (15 cm) thick depending on the type of airplane and how high the user desires to be in the cockpit. 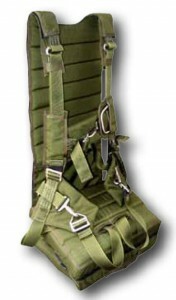 The parachute assembly is designed to be used in airplanes where head room is not restricted or moving forward in the cockpit is not possible including: Skybolt, Yak 52, Yak 55, CJ-6, Stearman, Great Lakes, Pitts S 2B, Decathlon, RV-4 and many others. For the Extra series of aircraft we use the Strong 305 chair. The Model 305 Chair measures 42” long (105 cm) by 16” ( 40 cm) wide by 2.5” (6cm) to 1” (2.5cm) thick and weighs approximately 16.5 lb. (7.5 kg). 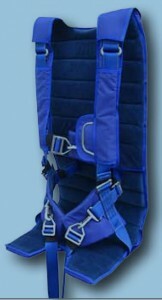 This back mounted container is built to extend from the shoulders of the user to just above the knees. This long design allows the parachute to be packed in a larger area keeping the system as thin as possible. Confor© Foam padding throughout the system allows the user to comfortably sustain flight for many long hours. The parachute assembly is designed to be used in airplanes where your seat is reclined such as a Grob, Giles 202, the rear seat of an Extra, and many others. Please do contact us for further information and supply.